Claire Product ManagerOver 10-year experience in customization. Welcome to Ho Chi Minh City, Vietnam! Pick-up and welcome at the airport with the transfer to your hotel. 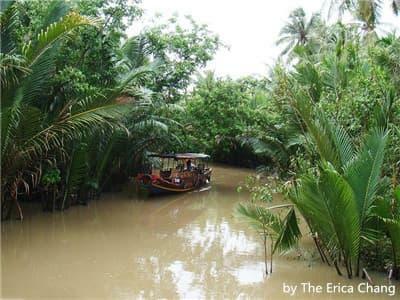 In the early morning, you will head out of the bustling city to Mekong Delta Area. Cruising on the Mekong river for sightseeing: fish floating market, islands of Dragon, Unicorn, Turtle, Phoenix. Land on Unicorn island, take a walk on the village road, visit an orchard of tropical fruits. 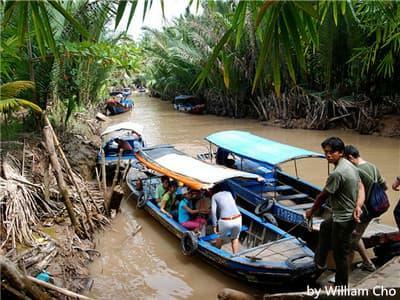 Visit a bee-farm, enjoy honey-tea and visit a typical house in Mekong Delta. Visit coconut candy workshop, taste fresh candies. Enjoy tropical fruits at local farm, listen to Southern traditional music. Next to land on Dragon island, transfer by cyclo or motorbike to local home. 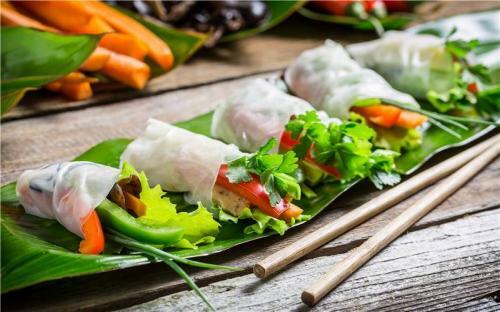 Have a homemade lunch and enjoy cooking time with some dishes such as “Banh Xeo” (Vietnamese crepe); Spring Rolls.... with the owners. After lunch, return to boat station. Transfer back to Saigon. End of tour at your hotel. Check out and tranfer to the airport for a flight to Da Nang. Upon arrival, pick up and transfer to hotel. 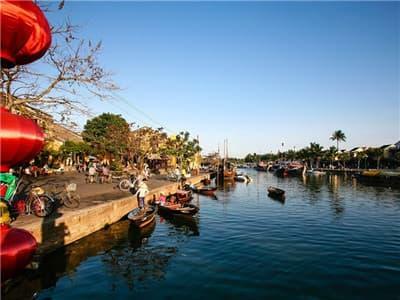 In the afternoon, your tour guide will pick you up by motorbike and give you a tour enjoy most famous seafood restaurant street around Da Nang. Return to your hotel. Please note that Foreigners in Viet Nam are allowed to drive a motorbike only with a Vietnamese driver’s license. Purchasing this tour, you should be aware of and abide by the Vietnamese Law. 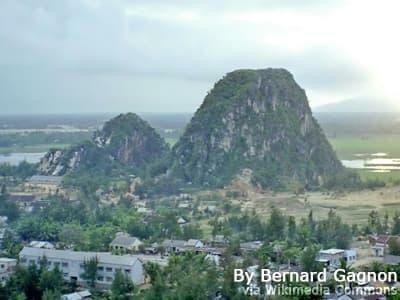 The day tour begins with climbing the stone steps carved into Marble Mountain to discover caves, grottoes and a Buddhist Pagoda and marvel at the panoramic view from the top of the mountain. 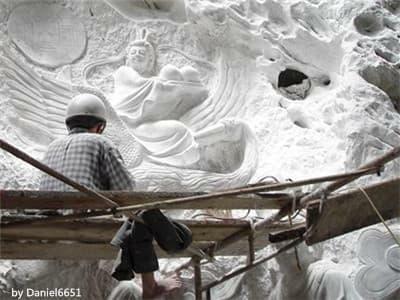 After visit Non Nuoc Stone Carving Village, we will go to Hoi An and visit Asia's best bespoke tailors - Ann Tailor for tailor made before check in hotel. Free at leisure in the afternoon. Discover Hoi An’s countryside and its local food by bicycle. We will past verdant rice-paddies to visit a very local village. 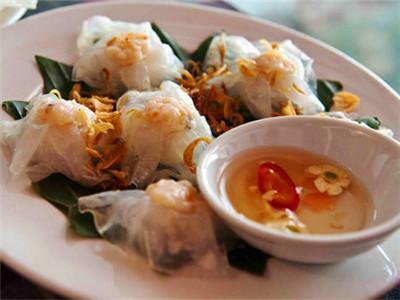 Sample the traditional Hoi An specialty, Cao Lau. Learn how to make the local delicacy- White Rose. Move on to Cam Nam to sample some Ying and Yang food balancing favorites. Have breakfast in the hotel and relax until time of transfer to the airport for departure flight. Excellent tour guide and travel advisor who gave us a great experience to Vietnam. They were very professional, great social skills and very friendly. Thank you all UME staff.